I can confirm, I’m still very much into Jurassic Park after all these years. 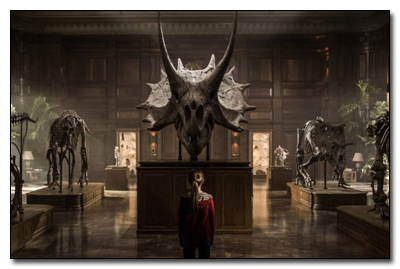 So I just came back from a screen of the last Jurassic Park/Jurassic World film (let’s call it “Jurassic Park 5: Jurassic World 2: Rise of the Planet of the Dinos”). And... I found it pretty good. I actually really enjoyed it. Quite a bit. Yeah, my love for dinos and the Jurassic Park series goes all the way to the original movie. And to be honest both Michael Chrichton’s Jurassic Park books are some of my favorite fondest memories of book reading as a kid. Even though a lot of the content went over my head when I was little. But I’ve since reread these books. A huge fan of the original Jurassic Park, which I fondly declared “my Star Wars” back then. Rewatched it coutnless times. 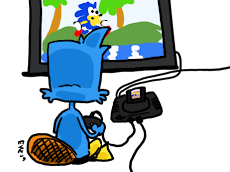 I really adored played most of the Jurassic Park video games. Reading the comics. The dinosaur toys. 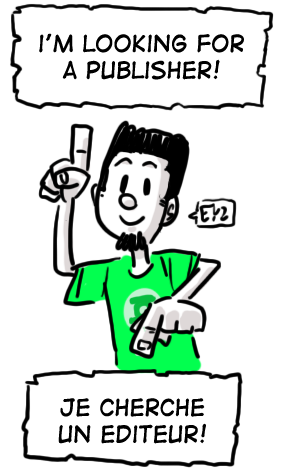 And, heck, even the less stellar sequels. So of course when the time came for a new “nostalgic” return to Jurassic Park film, with Jurassic World, I also loved it almost immediately. Despite seeing some mixed opinions on the film and whatnot. I really loved watching actual progression “in the plot” of the overall series. The park was finally open, it wasn’t just about people “going back to the island” like part 2 and 3! So Fallen Kingdom was a big surprise in my eyes. Because it worked for me on several levels. The volcano about to explode! Let’s go back to save some dinosaurs! 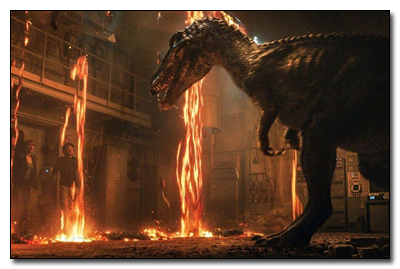 Since this is the second modern “World” film, I liked seeing how it did many parallels to The Lost World with a generally similar premise of going back for the dinos only to see InGen trying to steal them for their own purposes. 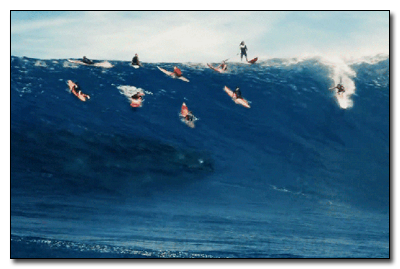 And a weird final act on the mainland. 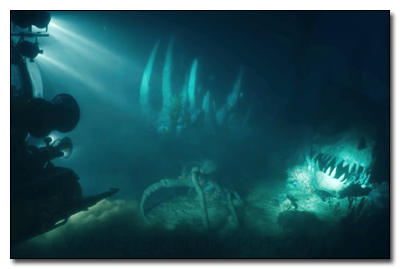 But it also build upon some little threads introduced in Jurassic World and actually followed up on those. Such as the idea of reselling dinosaurs for military purpose or other reasons. In a way I really enjoyed the overall story felt like a proper throwback to Michael Crichton territory. Ian Malcolm’s opening and closing speech (he got the last word!) was perfect Crichton. And people using science with negative consequences..
Also the whole bit about using cloning techniques used to bring the dinosaurs back to actually clone a dead daughter.. The film itself felt like such a rollercoaster! Maybe a bit too much towards the end. But things seemed to unleash, unravel and follow-up without too much time to breath.. A single night spent on the island while doing the “rescue” would have been a nice breather for the characters, like in The Lost World. Another tiny complaint. 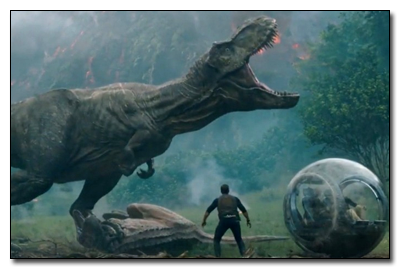 But once they set foot on the destroyed park you just saw standing and open in Jurassic World, some dinos walking free around.. great imagery! I liked the characters a bit more this time. It helps to see the same two main characters return and build upon what we saw of them last time. Chris Pratt is always fun. He was doing a bit more Starlord than “Owen” this time (I think), but his stuff with Blue was so good! Speaking of, with the whole Blue storyline and how it all ends with “dinosaurs walking the Earth”, am I the only one feeling things going a bit too much into Planet of the Apes-reboot direction?? 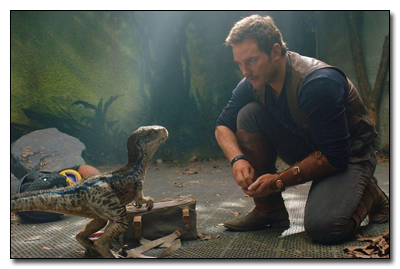 Seriously, Blue is now the Caesar of the Jurassic Park/World series!! Who doesn’t a little baby dinosaur? 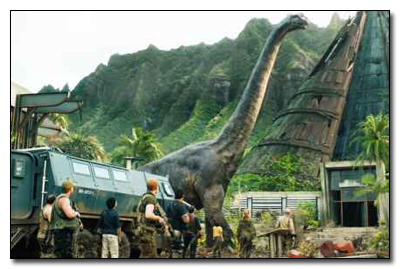 But everytime they were in big close up, next to them or touching them they actually really used prop-dinosaurs!! Next to a caged dino. Around the sleepy T-Rex. Touching blue on the table (very reminiscent of the baby T-Rex of the Lost World). Speaking of, I saw a lot more nods, throwbacks and references to the earlier films (specially the original) than in Jurassic World. Which is weird. 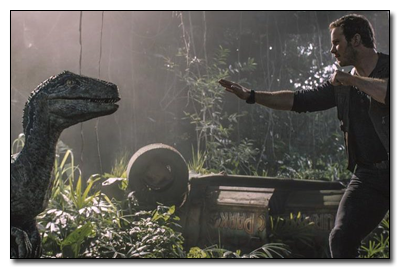 Since Jurassic World was the “soft reboot”, the nostalgic return to the world of Jurassic Park. 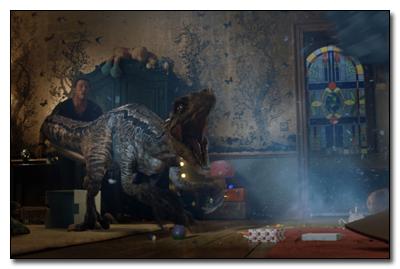 But Fallen Kingdom did a lot of shot-for-shot references. I noticed them clearly, having just rewatched the earlier films this past week! A dinosaur’s shadow overlapping a similar background painting, nods to the kitchen scene from JP1 from the toe-tap on the ground to trying to hide inside something while the dinosaur was rushing forward. And I have to touch on the new “fake” dinosaur, the Indoraptor. It was actually fun, creepy and well used. The design was ust a bit too bland and generic. I feel like they feared to make it too different looking, but instead wasn’t original enough in my eyes. Also is it only me or did it have “video game orange weak spotlights” on its sides?! 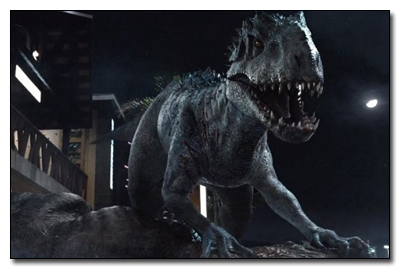 But its scenes didn’t make it any bigger or more threatening than the Indominus Rex from the last film! That one could actually turn invisible!! Yeah, I know it was overkill, but they sold it as a better updated version of that monster! I really loved the dinosaurs. I know they’re “not real dinosaurs”, but just frog DNA-spliced “Jurassic Park monsters”. But I didn’t want to see any of them die at the end of the day, something I never felt in the original Lost World or Jurassic Park 3! I specially did not want to see Blue die.. I didn’t expect much from this film. But now I find myself really awaiting to see what they can come up with and follow-up on with the announced third and final episode of the saga.